Creating templates makes your work as a coach much easier, templates are used to propose an activity, workout or meal plan to your client. 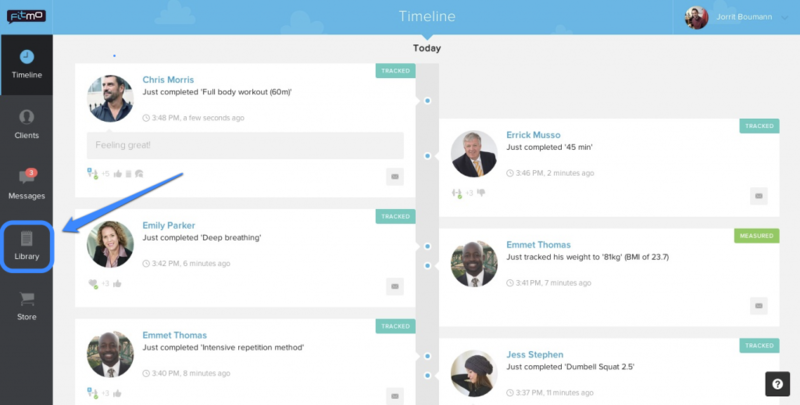 You can build your own single templates or build complete routines. 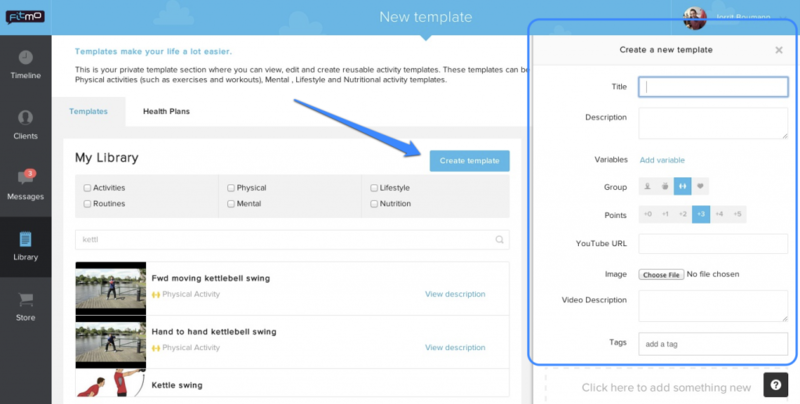 When you open your trainers account you will land on this page; To create a template select Library. Select Create Activity and the following screen will appear. Description: This field allows you to add some information you think is important for your clients. e.g. The why, the how etc. Score: Give a score to your template 1-5 (e.g. "drink a glass of water" 1 point and a "full body workout" 5 points) the harder or more important the activity, the higher the score. *Currently the score system is not really active or important in work with clients. 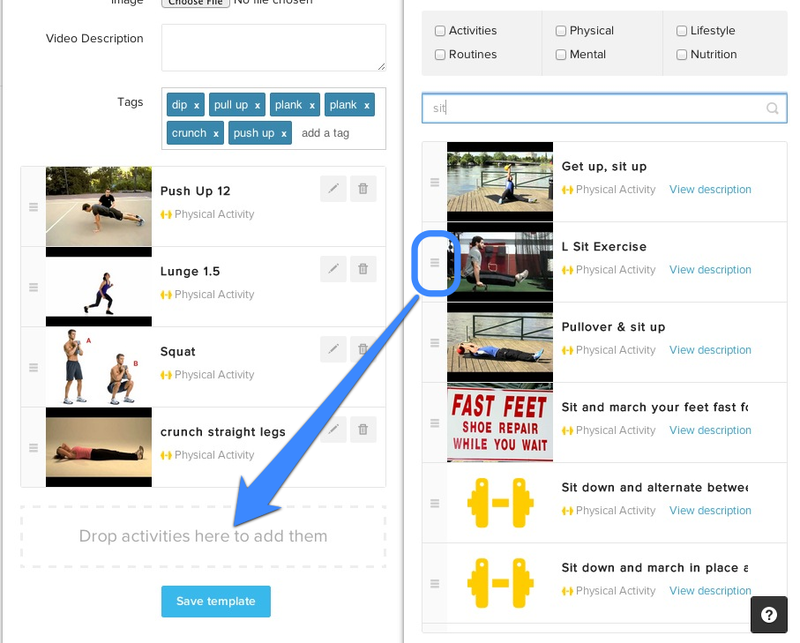 Youtube url: Upload a video from youtube to your workout. Just go to the video you like, copy the url in your browser and paste it in this field. You can use any video on youtube, or better make your own and post it on youtube! Image: Not every template needs a video; in that scenario make your template smoother by adding an image from your computer. Your clients will love it! Media description: This field gives an additional description with the video/image. Tags: Give your template some tags. Fill in a specific word and use TAB on your keyboard. A tag allows you to find a specific template faster. If you use tags e.g. gym and beginner. Later when you search beginner all the templates with these tag will be shown in your library. So it's easy to select templates quickly! After completing all the details you can scroll down and select: Create template. Now you've saved your first template. It's possible to create a routine. If you select click here to add something new, another screen appears . Search for the template you want to add and use the drag and drop option to drag your template to the drop activities here to add them box on the left. Repeat this with all the templates that will create your routine. 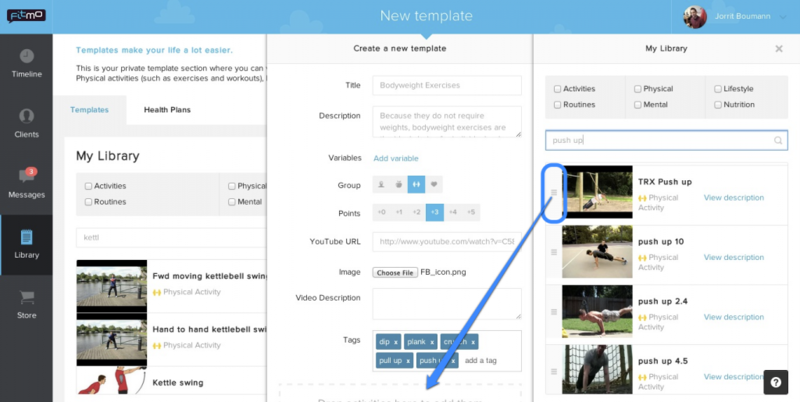 When you've added your templates in this routine, select create template. Now you've saved your first routine. This is it, now you can reuse this routine into a client's schedule!